Jan 9, 2012. 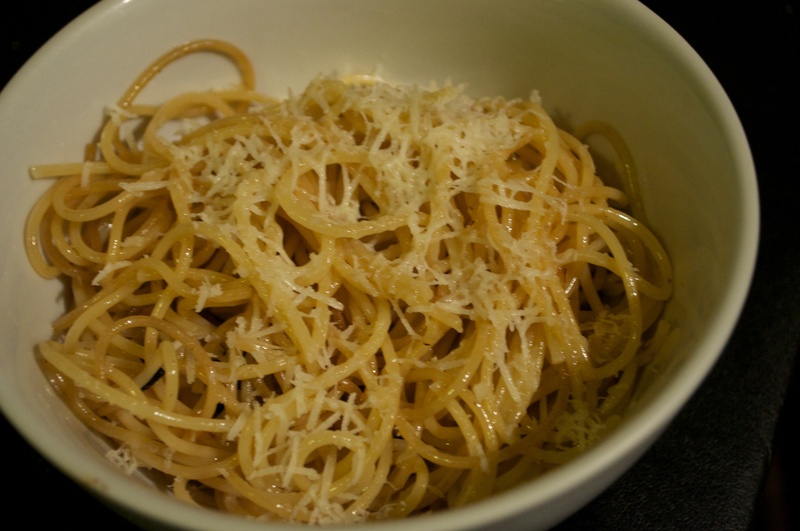 Spaghetti with cheese and butter. Lazy comfort food nuked in the microwave.